For Buddha, the path to happiness starts from an understanding of the root causes of suffering. 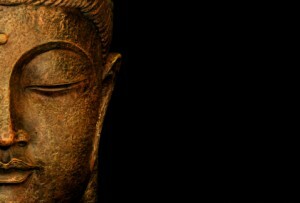 Those who consider Buddha a pessimist because of his concern with suffering have missed the point. In fact, he is a skillful doctor — he may break the bad news of our suffering, but he also prescribes a proactive course of treatment. In this metaphor, the medicine is the Buddha’s teachings of wisdom and compassion known as Dharma, and the nurses that encourage us and show us how to take the medicine are the Buddhist community or Sangha. The illness however, can only be cured if the patient follows the doctor’s advice and follows the course of treatment — the Eightfold Path, the core of which involves control of the mind. In Buddhism, this treatment is not a simple medicine to be swallowed, but a daily practice of mindful thought and action that we ourselves can test scientifically through our own experience. Meditation is, of course, the most well known tool of this practice, but contrary to popular belief, it is not about detaching from the world. Rather it is a tool to train the mind not to dwell in the past or the future, but to live in the here and now, the realm in which we can experience peace most readily. All that we are is the result of what we have thought. It is founded on our thoughts. It is made up of our thoughts. If one speaks or acts with an evil thought, pain follows one, as the wheel follows the foot of the ox that draws the wagon. All that we are is the result of what we have thought. It is founded on our thoughts. It is made up of our thoughts. If one speaks or acts with a pure thought, happiness follows one, like a shadow that never leaves. The first and second verses (above) of the Dhammapada, the earliest known collection of Buddha's sayings, talk about suffering and happiness. So it's not surprising to discover that Buddhism has a lot to offer on the topic of happiness. Buddha's contemporaries described him as "ever-smiling" and portrayals of Buddha almost always depict him with a smile on his face. But rather than the smile of a self-satisfied, materially-rich or celebrated man, Buddha's smile comes from a deep equanimity from within. 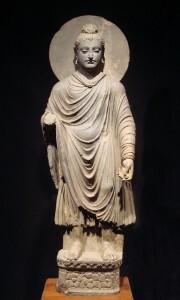 An early Gandharan statue of Buddha, 1st-2nd centuries CE, in the Tokyo National Museum. During the late 6th and early 5th centuries BCE, Siddhartha Gautama of Shakya, who later became known as the Buddha, was born in modern-day Nepal near the Indian border. While there are several mythical stories surrounding his conception and birth, the basic facts of his life are generally agreed upon. Born into a wealthy royal family, the Buddha was born and raised in worldly luxury. Despite his father's attempts to shield him from the ugliness of life, one day he ventured out beyond the castle walls and encountered three aspects of life: the old, the sick and the dead. Each of these experiences troubled him and made him question the meaning and transience of life and its pleasures. After this, he encountered an ascetic who, by choice, lived a life renouncing the pleasures of the world. Even while he was completely deprived of life's comforts, his eyes shined with contentment. These shocking experiences moved Buddha to renounce his comfortable lifestyle in search of greater meaning in life. It was during his time practicing extreme forms of self-denial that Buddha discovered the "Middle Path" of moderation — an idea that closely resembles Aristotle's "Golden Mean." During his life, he had experienced intensive pleasure and extreme deprivation but he found that neither extreme brought one to true understanding. He then practiced meditation through deep concentration (Dhyana) under a bodhi tree and found Enlightenment. He began teaching the Four Noble Truths to others in order to help them achieve transcendent happiness and peace of mind through the knowledge and practice that is known today as Buddhism. Life is/means Dukkha (mental dysfunction or suffering). Buddha believed that dukkha ultimately arose from ignorance and false knowledge. While dukkha is usually defined as suffering, "mental dysfunction" is closer to the original meaning. In a similar vein, Huston Smith explains dukkha by using the metaphor of a shopping cart that we "try to steer from the wrong end" or bones that have gone "out of joint" (Smith, 1991, p. 101). Because of such a mental misalignment, all movement, thoughts and creation that flow out can never be wholly satisfactory. In short, we can never be completely happy. The Eightfold Path is often divided into the three categories of wisdom (right view/understanding, right intention), ethical conduct (right speech, right action, right livelihood) and mental cultivation (right effort, right mindfulness, right concentration). The Eightfold Path is a practical and systematic way out of ignorance, eliminating dukkha from our minds and our lifestyle through mindful thoughts and actions. 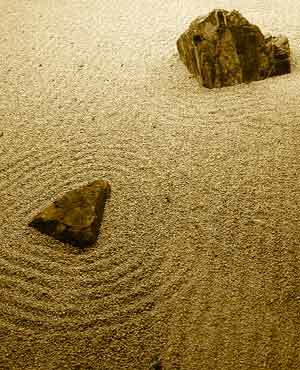 It is presented as a whole system, but the three paths associated with the area of mental cultivation are particularly relevant to the happiness that we can find in equanimity, or peace of mind. Buddhism pursues happiness by using knowledge and practice to achieve mental equanimity. In Buddhism, equanimity, or peace of mind, is achieved by detaching oneself from the cycle of craving that produces dukkha. So by achieving a mental state where you can detach from all the passions, needs and wants of life, you free yourself and achieve a state of transcendent bliss and well-being. As described in the first verse of the Dhammapada, for Buddha, mental dysfunction begins in the mind. The Buddha encouraged his followers to pursue "tranquility" and "insight" as the mental qualities that would lead to Nirvana, the Ultimate Reality. As mentioned earlier, the Eightfold Path as a whole is said to help one achieve these qualities. In particular, the areas of mental cultivation, which include right effort, right mindfulness and right concentration, are the mental skills and tools used for achieving happiness. The Buddha once described the mind as a wild horse. In the Eightfold Path, he recommends practicing "right effort" by first avoiding and then clearing our minds of negative, unwholesome thoughts. Once that is achieved, one perfects a wholesome, tranquil state of mind through the practice of positive thinking. This ongoing effort promotes a state of mind that is conducive to the practice of mindfulness and concentration (meditation). In a word, mindfulness is about experiencing the moment with an attitude of openness and freshness to all and every experience. Through right mindfulness, one can free oneself from passions and cravings, which so often make us prisoners of past regrets or future preoccupations. A monk who with tranquil mind has chosen to live in a bare cell knows an unearthly delight in gaining a clearer and clearer perception of the true law. Right Concentration is a mental discipline that aims to transform your mind. As the core practice of "meditation," right concentration is a foundational activity within Buddhist thought and practice. According to Buddha, there are four stages of deeper concentration called Dhyana: 1) The first stage of concentration is one in which mental hindrances and impure intentions disappear and a sense of bliss is achieved. 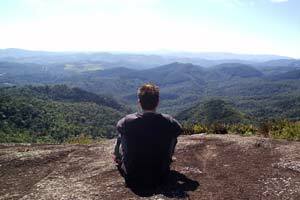 2) In the second stage, activities of the mind come to an end and only bliss remains. 3) In the third stage, bliss itself begins to disappear. 4) In the final stage, all sensations including bliss disappear and are replaced by a total peace of mind, which Buddha described as a deeper sense of happiness. Stories of Buddha's compassion and consideration for all life abound. He taught truth and he also taught compassion because he saw personal happiness as related to the happiness of others, humans and otherwise. Such a lesson is reflected in both the way he lived and the way he died. In life, it was said that the Buddha forewent Nirvana in order to teach others the keys to transcendence. In death, the story goes that a follower accidentally poisoned Buddha. As he was dying, he comforted this follower by assuring him that the meal he had just eaten was one of his two most blessed meals: the first meal was the one he had to break his fast under the bodhi tree, and this second meal of rotten mushrooms was the meal that would bring him to Nirvana. The journey to attain a deeper form of happiness requires an unflinching look into the face of a reality where all life is seen as dukkha or mental dysfunction. Buddhism is a philosophy and practice that is extremely concerned with the mind and its various delusions, misunderstandings and cravings but, happily for us, sees a way out through higher consciousness and mindful practice. Perhaps it is because of this seemingly dim view of reality that happiness in Buddhism is so tremendously full; the ideas contained in Buddha's teachings point to a thorough engagement with lived reality. Ironically, it is through such an engagement with one's self, the world and reality that one is able to achieve a transcendent happiness. Equanimity, a deep sense of well-being and happiness, is attainable through proper knowledge and practice in everyday life. Smith, H. (1991). The World's Religions. New York, NY: HarperCollins, Inc.
Bodhi, B. (2005). In the Buddha's Words: An Anthology of Discourses from the Pali Canon (Teachings of the Buddha). Somerville, MA: Wisdom Publications. Picture credits: Zen garden by dlee / SXC.hu; View from hilltop by white_lion / SXC.hu. realsociology » Blog Archive » Can rejecting mainstream western values make you happier?